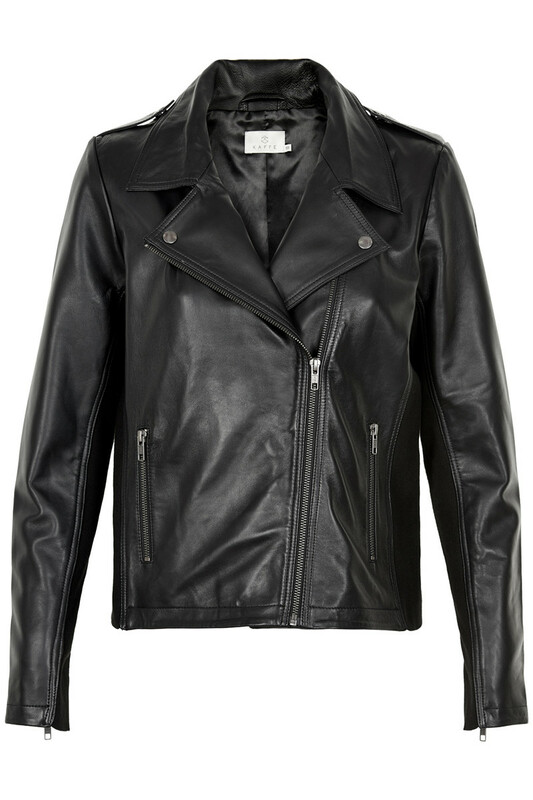 Biker leather jacket with zipper. The jacket has zipper on the back at the sleeves. It have 2 pockets.